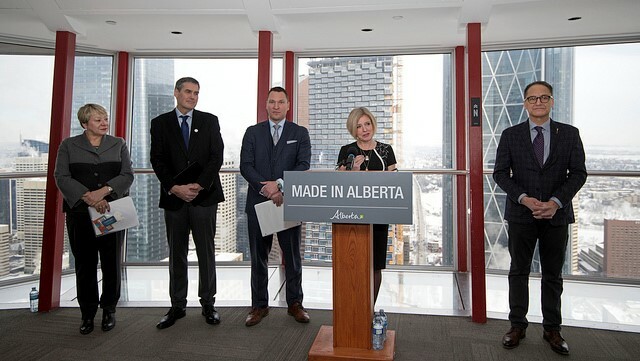 Premier Notley announces investment in high tech with (L-R) Laura Kilcrease, John Shillington, Minister Bilous and Minister of Finance Joe Ceci. Since 2002, the Government of Alberta has invested about $42 million in AI-related research at the University of Alberta and Amii. Alberta’s researchers are already ranked third in the world in the area of AI and machine learning, thanks in part to Amii. More than 200 companies from around the world have expressed interest in working with Amii. In 2017, the federal government committed $25 million for AI and innovation funding through the Pan-Canadian Artificial Intelligence Strategy to Alberta, delivered by the Canadian Institute for Advanced Research.